Standard nylon washer for ensuring no leaks attaching your regulator to your CO2 bottle. 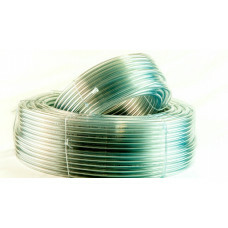 Clear 6mm ID Ledavin PVC hose perfect for gas or beer line. Capable of fitting a standard disconnect barb. 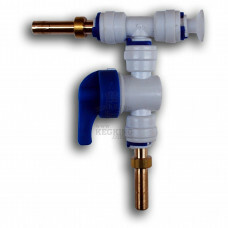 This Sodastream Cylinder Adapter has been designed so that you can adjust the pin that opens the valve on your sodastream bottle whilst it is still connected to the sodastream bottle. A Premium Micromatic Regulator to attach to a large gas cylinder, with an adaptor to connect to 1/4" gas tube. 2 Output / 2 Way Gas Line Manifold Splitter with Check Valves. These gas manifolds are rated to 100psi and include 2 gas line outputs and 2 x 1/4inch ball vales. A Premium Plus Micromatic Regulator to attach to a large gas cylinder, with a shut-off valve and barbed out for your gas line. Pressure adjustment is done using an Allen key (supplied) to help ensure your pressure setting is constant and doesn't change every time you knock it.